Lawford was appointed as an alternate director in October 2016 and was appointed as Chairperson and full director in December 2016. 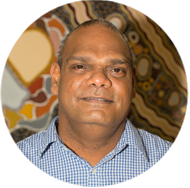 Born and raised in Kununurra, Lawford is a well-known member of the local community, having held senior positions with a number of Aboriginal organisations. In addition to holding the position of Chairperson, Lawford also currently sits on the board of Binarri-binyja Yarrawoo Aboriginal Corporation (Empowered Communities, East Kimberley) and is the Chair of the Joint Management Committee for Reserve 31165. Lawford is focused on generating economic development opportunities for MG people and promoting positive education and employment outcomes for MG people through a framework of Indigenous empowerment.